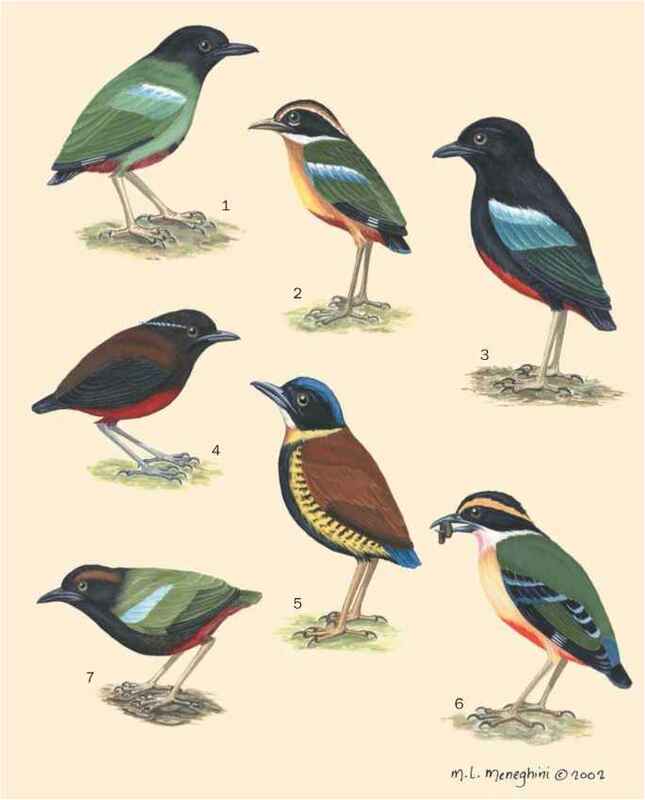 Turdus barbatus Desfontaine, 1789, "Cotes de Barbarie" (= near Algiers). English: Yellow-vented bulbul, dark-capped bulbul, black-eyed bulbul, white-eared bulbul, garden bulbul; French: Bulbul commun, Bulbul des jardins; German: Graubülbül; Spanish: Bulbul Naranjero. 3.6-4.2 in (93-107 mm), 0.8-2.1 oz (23-60 g). Thrush-sized with dark, slightly crested head, dark eye-ring and black bill. Grayish brown upperparts and breast, white belly and white or yellow undertail. Sexes alike, female slightly smaller. Juvenile duller than adult with rusty tones. Widespread and common, almost everywhere in Africa south of 20°N, except in dry southwest and the Cape. Any wooded or bushy habitat, especially near water. Usually in pairs, congregates in fruiting trees with other birds. Not territorial outside breeding season. Song abrupt "quick, chop, toquick"; one of earliest birds to sing in the morning, starting before dawn and continuing for up to two hours. Communal singing noted following feeding. Fond of bathing and scolding, but not overly aggressive. Eats wide variety of wild and cultivated fruits, also flowers, termites, and other insects, sometimes small lizards. Monogamous, said to mate for life. Pairs bond with preening ceremony and duet singing. Lays two to five eggs in shallow, thin cuplike nest in bush or shrub, lays twice per season. Incubation 12-14 days, usually by female only. Naked young cared for by both parents, fledging 10-17 days.